In the Maine Beaches Region along the southern Maine coast, you’ll find classic New England beach communities and thirty dazzling miles of white sand. Lighthouses dot the shore, their beacons of light beckoning visitors to come explore all the region has to offer, from excellent family resorts to authentic lobster shacks. Whether you head to the coastal towns of Maine for recreation, relaxation, shopping, or to sample some of the world’s best seafood, you’re sure to find what you’re looking for. Towns like Wells offer plenty of historic sites, antique stores and beaches for the whole family to enjoy. Ogunquit, an early 20th century art colony is now a year-round resort town with a decidedly artsy bent. Visit the Ogunquit Museum of American Art, enjoy the boutiques, galleries and cafes in Perkins Cove and unwind at Ogunquit Beach. Mainers refer to the Kennebunk and Kennebunkport regions as “the Kennebunks,” and visit them for their classic seaside charm and small town sense of community. Visitors to the Kennebunk region can take advantage of the area’s plentiful recreational options including fly-fishing on the Mousam River, numerous hiking and biking trails, or a ride on an authentic Maine lobster boat. 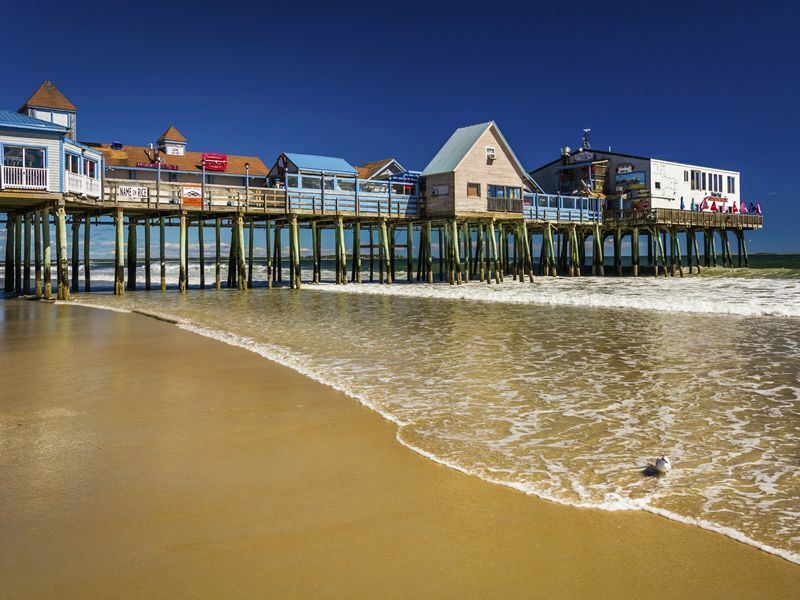 Old Orchard Beach hosts seven miles of sandy beach, the Palace Playland oceanfront amusement park, a century-old pier and nightly entertainment. The area also boasts shopping, dining, golf, fishing, camping and saltwater marsh canoeing. A trip to America’s oldest chartered city, York, is incomplete without a stop at the Nubble Lighthouse and its companion park. Plan your trip in August to coincide with York Days featuring the lighting of the Nubble. More information and to book: Combine your stay in Maine's beach and fishing village environment of the south with a trip further north to explore the forest wilderness with our Maine self drive holidays. Article courtesy of Visit Maine.